Xin Invoice software - handy and cost effective: One Time Payment? Yearly Renewal? Is this software a one time payment or need to be renewal? Please let us know and the current price. 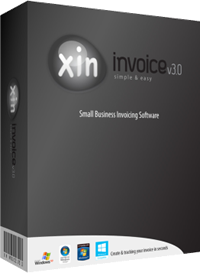 The cost for Xin Invoice 3.0 is one time payment, there is no yearly renewal fee needed. To check the latest price of the software, please visit http://www.xininvoice.com/.